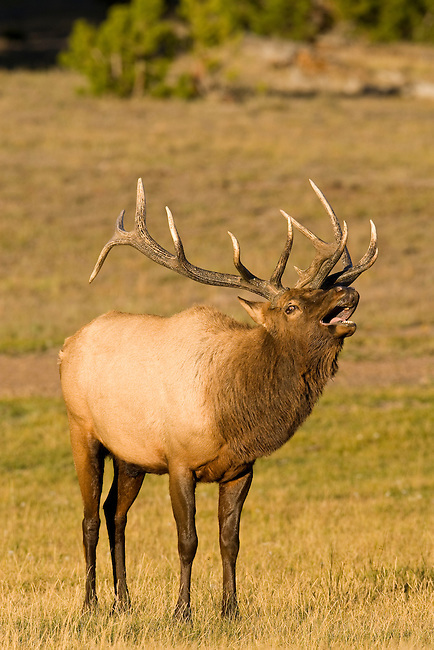 A large bull elk bugles in Yellowstone National Park Wyoming, USA, September 30, 2007. The vocalization, known as a bugle, is thought to serve as both a challenge to other bulls, and a dominance assertion over the cows in his harem. Photo by Gus Curtis.